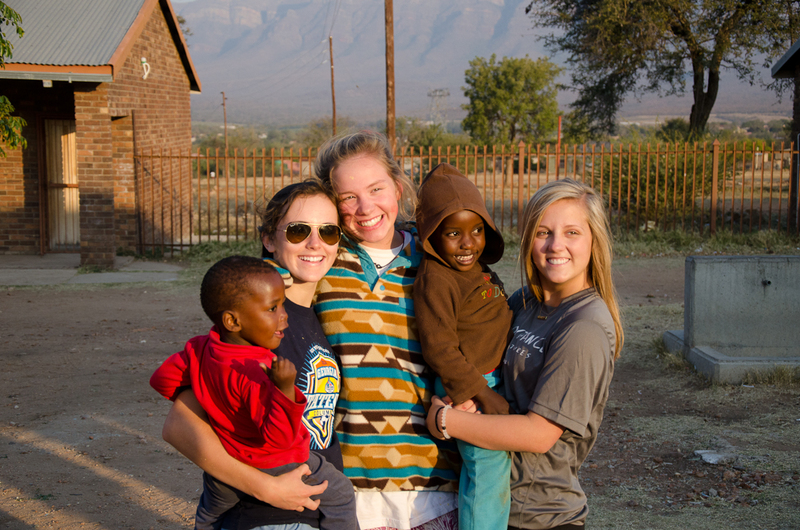 Tourists spend millions of rand every year to come and visit South Africa. Their trip is usually wildlife orientated with fingers poised above shutter release buttons to hopefully catch a glimpse of the fabled Big 5 and all the other elements of the intricate ecosystem we call the bush. High on many’s agenda is also to visit Cape Town, the stunning winelands close by and maybe some other areas of interest such as Soweto. Unfortunately most tourists spend their time here shrouded in a protective westernized bubble; fancy lodges, 5* service, private transfers and fine dining. Few are bold enough to visit true Africa. This land is the birthplace of man. We talk of culture, but the culture of man (whatever that may be) originated here; our ancestors originated here and thus we all have an undeniable connection to this magical continent. Whilst there is no doubt that the world we live in is overpopulated, this does not excuse millions of people, including young children, living in heart-wrenching conditions. “I can’t make a difference on my own” I hear some of you cry, but there is an old African proverb that says: ‘If you think you are too small to make a difference, try sleeping in a closed room with a mosquito.’ Every little helps and we as a nation, and a continent, thank all those who have contributed in some way. Recently, a group of school girls visited EcoTraining’s Karongwe camp to learn more about Man’s place in the wild. 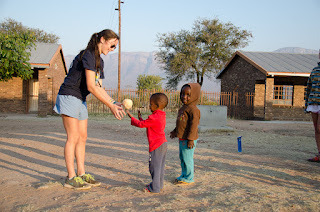 Of course, the major focus of the trip was to view some of the spectacular wildlife on offer, but it was also important for them to experience life in the local community. At their request, EcoTraining in partnership of Toine Vos (Outreach Manager at Daktari) organised for the group to visit the Maahlamela High School in a small village close to the reserve and help to improve learning conditions for the hundreds of amazing local children that attend it. Three of the classrooms were nothing more than bare shells with only basic equipment, the walls drab and dreary: hardly an environment conducive to fun learning. But that was about to change! 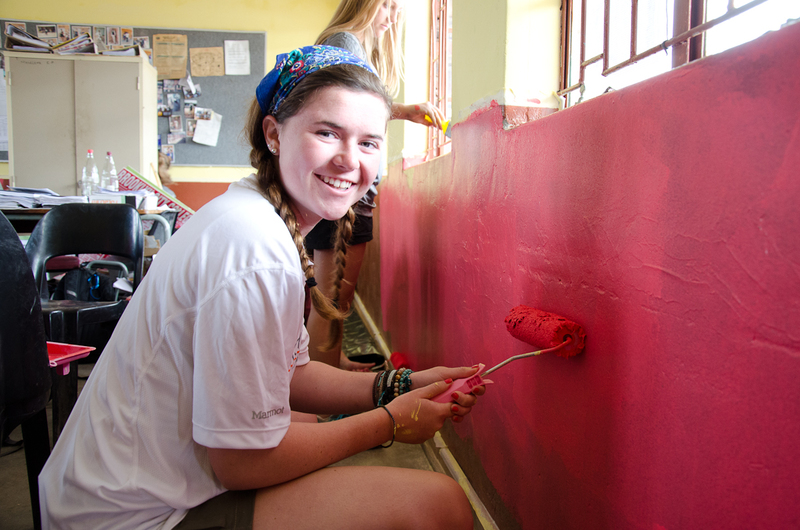 Armed with paint, brushes and rollers, we arrived at the school gates eager to begin transforming the classrooms. 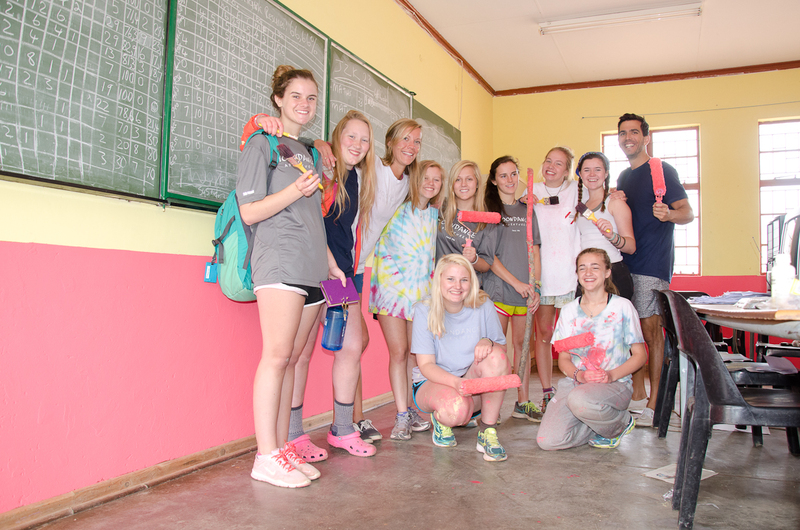 For the next day and half, the girls toiled selflessly and by the time they had finished painting the walls yellow and red, the classrooms looked like new! 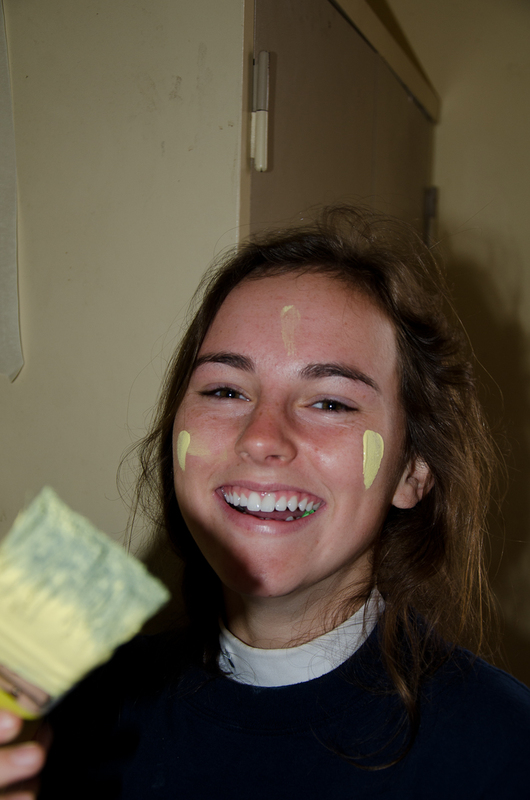 Admittedly, I think more of the paint ended up on us than on the walls but the whole experience was great fun and very rewarding. Their enthusiasm for the project was contagious and I was hugely impressed by their desire to get involved. It is very easy to shun responsibility and ignore the plight that so many rural areas face, but I have to say that the group applied themselves admirably and seemed to relish in the chance to make a difference. I myself have not had the opportunity to do much work in the local community and cannot speak for all, but I am very proud of what we achieved and the thanks from the principal and local children were a more than sufficient reward! Despite being a public holiday, many children were present and the girls took great pleasure transcending language barriers getting to know the local children and members of the community. Names and contact details were swopped and many promised to keep in touch. 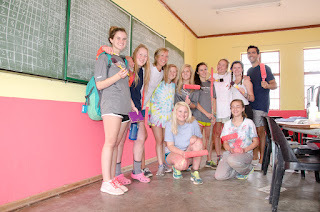 We would love to have done more but the group also made a very generous donation to the school to aid in the purchasing of better equipment, stationary and books. Every little bit helps and it is a warming feeling to know that our work, and the group’s donations will have an impact on shaping the opportunities afforded to the next generation. These kids will inherit the Earth that we leave behind and the more help that we can give them, the better! On behalf of EcoTraining, we would like to thank Toin Vos and Daktari for going through a lot of trouble sourcing the project, putting us in contact with the school principal and making the necessary arrangements. Last, but not least, a big thank you to Moondance for the generous donation to the school. 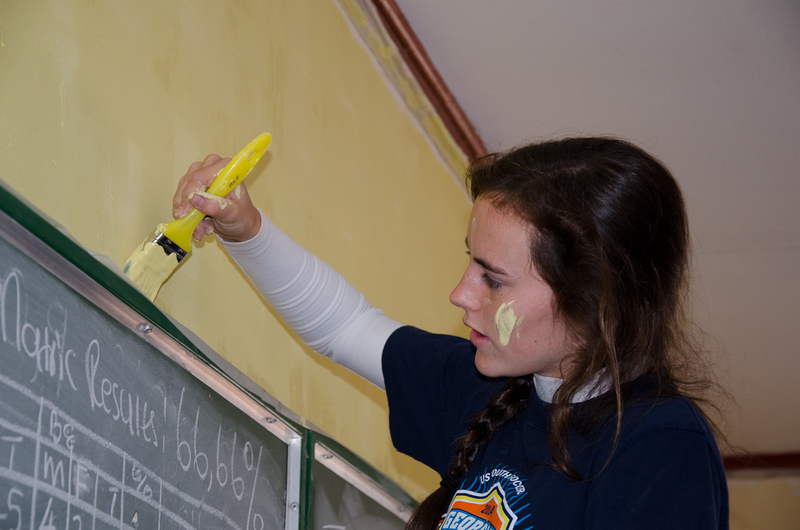 The money will be used to buy the necessary stationary and equipment the school need.